top. Many people find it a bit shocking to learn that contributing factors such as the skincare products you use or the food and drinks you consume could be exacerbating adverse skin reactions or sunburns. Rest assured, this can easily be avoided. Whilst the idea of lounging poolside or beachside with a delicious and refreshing margarita sounds like the ideal summertime relaxation situation, lime juice can actually cause severe skin reactions including skin blistering and chemical burns. Lime juice may be the biggest offender to phytophotodermatitis, however other foods can have similar reactions including bergamot oranges, carrots, celery, dill, figs, lemons, parsley, and parsnips. If you come in contact with these items, wash yourself thoroughly before you go outdoors. And, sunscreen will not stop the reaction, so washing it off is best. Avoid products with Tretinoins, which is common in Retinol A, before you go into the sun. Other ingredients that cause the same sun sensitivity include alpha-hydroxy acids such as glycolic acid and beta-hydroxy acids such as salicylic acid. All of these chemical ingredients remove the outer layer of the skin to improve various skin conditions such as acne; however, unfortunately, the removal of this layer of skin can exacerbate skin irritations caused by the sun. Talk about a catch 22! So, use an oil-free sunscreen while you are in the sun, wash your face, and then add your acne products just to be safe. 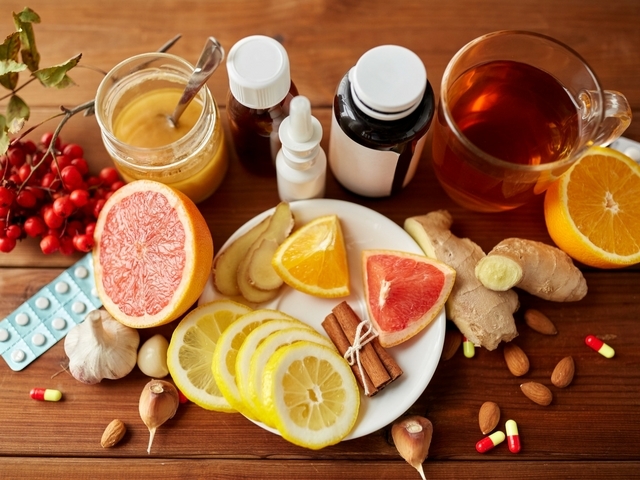 The same can be said for many medications such as antifungal drugs, antihistamines, anti-inflammatory medicines, antibiotics, diabetes drugs, oral contraceptives, and others. These active ingredients will not cause a bad sun reaction in most people; however, if you use products and medicines with these ingredients and experience regular sun irritations, you might want to consult your doctor to determine the root cause. Some essential oils and perfumes have been linked to making one’s skin more reactive to the sun. Some of the potential culprits could include bergamot, bitter orange, lavender, lemon verbena, musk, rosemary, and sandalwood. If your perfumes or skincare products contain these ingredients, be sure to test them on your skin in the sun before you cover your entire skin surface and spend hours frolicking at the beach. You may not have a reaction at all, and others may have a severe one. You just never know until you carefully test it out. Keep in mind that not everyone will have reactions to the sun from these possible everyday triggers. If you do experience sun irritations despite taking suncare precautions, think about whether or not you use any of these items to help minimize future issues. And, remember, if you handle limes for your summertime cocktails or mocktails, be sure to wash off any bits that may have contact with your skin during drink preparations…or after having a few. Now, go forth and enjoy the summer!